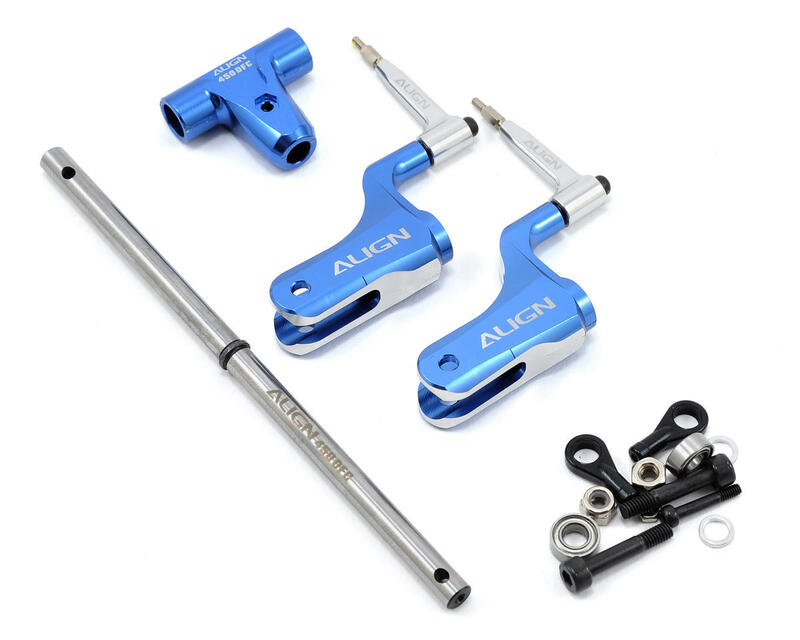 This is the Align 450DFC Main Rotor Head Upgrade Set and is intended for use with the Align T-Rex 450 Pro, 450 Sport and 450 Sport V2 helicopters. Using the 700 DFC/600 DFC's head design, the 450 DFC flybarless rotor head system utilizes an extremely low CG design, effectively reducing resistance during flight, while at the same time providing increased flight responsiveness and precision. The result is superior 3D performance and unimaginable flight speed with an extremely attractive design. 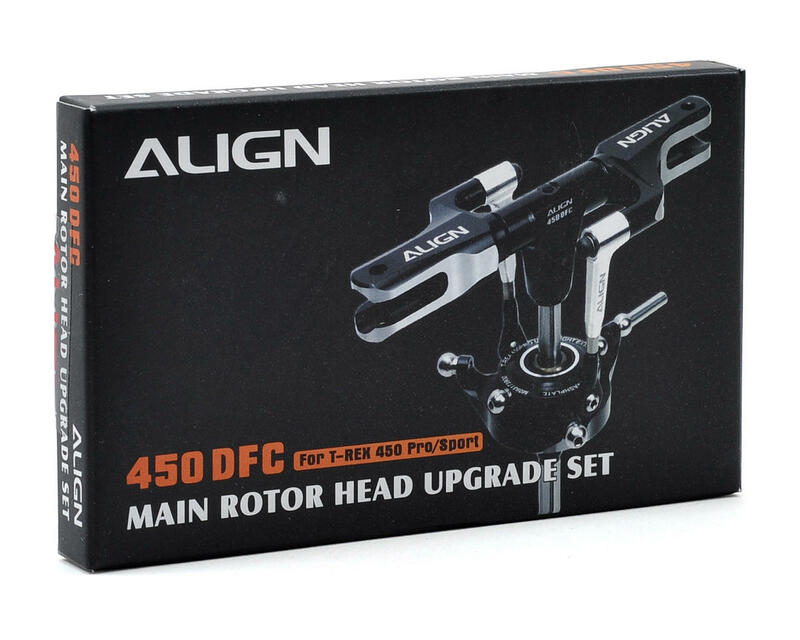 Upgrading to the 450DFC rotor head assembly is extremely easy; just replace the head block included in the 450DFC kit, connect the 450DFC linkage assembly, and replace the main shaft with 450DFC main shaft. The existing swashplate is kept in the upgrade. Low CG and short main shaft design dramatically reduces flight resistance, and effectively improves T-Rex 450’s 3D performance and speed. Re-designed linkage rods. Complete assembly increases linkage rod rigidity, allowing the pitch slider (follower) to be omitted, resulting in a head assembly that is simplified and rigid. Upgrading to the 450DFC rotor head assembly is extremely easy; just replace the head block included in the 450DFC kit, connect the 450DFC linkage assembly, and replace the main shaft with 450DFC main shaft. Existing swashplate is kept in the upgrade. The damper rubbers are manufactured utilizing POM material, sleek surface, with superior anti-wear characteristic. Suitable for T-REX 450 PRO/SPORT/SPORT V2 flybarless system.